Include aromatherapeutic foot bath treatment, ``triple mint`` scent, gently exfoliate with ``sea salt glow``, sea extract for a rejuvenating mask. 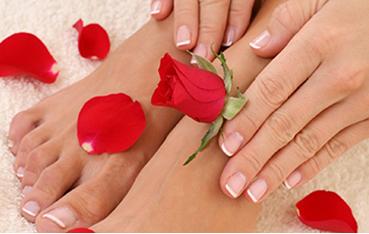 A shellac nail manicure offer a more durable finish for beautiful nails. Nails Infiniti has been Houston’s nail services of choice. We provide a premium nail services. We are family owed shop that always proud to serve our customers. This place is awesome! This is my first time getting my lashes done and it certainly won't be my last. The studio is clean, well-decorated. So pleased with my experience! The nail technicians attention to detail was impressive. Very relaxing experience. We are a small family owed business that always proud to serve our customer. 2035 FM 359 Rd. Suite B. 2015 NailsInfiniti.com. All rights reserved. Developed by VIETCOMTECH.